The Sun is in the sign of Virgo this month, and keeping calm and carrying on is exactly what Virgo does! This modest, competent, no-nonsense earth sign is discriminating and discerning, scientific, conscientious and thorough in her efforts to create order and efficiency out of chaos. Virgo is dedicated to serving others. She strives to improve and perfect herself so that she can serve in higher and better ways. In this episode Mary Jo and Janey discuss a person in the entertainment industry who demonstrates the characteristics and traits of the Virgo archetype. 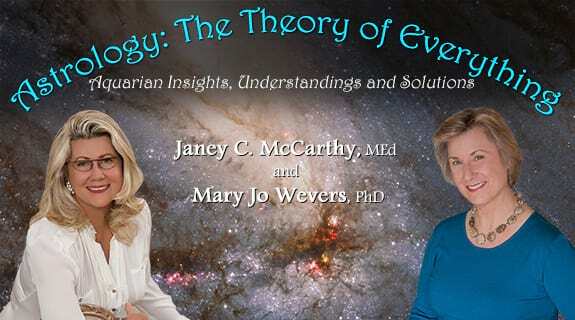 We then look at Mary Jo and Janey’s composite chart and analyze its Virgo energy. Finally we talk about important current transits in the sign of Virgo and what they mean for us. The following three shows for the month will feature special guests talking about topics that pertain to the sign of Virgo: the Wounded Healer Chiron, the Asteroids, and Animal-Assisted Therapy. Listen in and then tell us about Virgo in your life! The Evolution of the Ego and the Enneagram. With Jessica Dibb. Each of us has an Ego. We tend to project a manufactured self-image characterized by the roles we play, masks we wear, labels we acquire and images we devise. It is not our true self, our essence. Not knowing our true self keeps us off-balance, ungrounded and insecure. How can we understand our moments of indecision, poor choices, and self-undoing behaviors, which by default often become our path? The ancient Greeks interest in “Knowing Thyself” and developing the human psyche gave rise to what is known today as the Enneagram. Often described as a personality typing system, it illuminates our core issues and motivations, our imbalances, and the ways we tend to cope with life. Our guest Jessica Dibb is an expert in the magical and transformational workings of the Enneagram. Learn about the basic personality types and directions of growth and deterioration each takes. Understanding ourselves through the Enneagram, we can live with more freedom, operating from Essence instead of Ego. 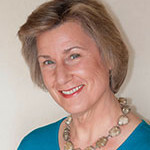 Since 1982 Jessica Dibb – Founder, Spiritual Director, and Principal Teacher of Inspiration Consciousness School, has designed and facilitated unique workshops, classes, and on-going trainings grounded in a highly integrated model of psycho-spiritual healing and development to support self-actualization. 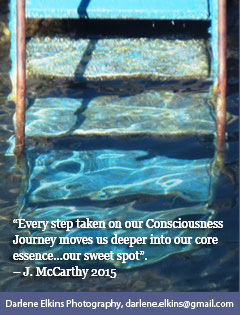 Her teachings assist people in cultivating consciousness through all stages of life from conception onward. Using Integrative Breathwork, psychodynamic principles, the Enneagram and established and emergent wisdom teachings, Jessica facilitates embodied awareness of each moment. Her intuitive teaching style, individualized and attuned attention to students, and integrative approach helps to facilitate long-lasting transformations. She also teaches nationally and internationally, including teaching Integrative Breathwork at the Psychotherapy Networker Conference for several years, and being a principal presenter at the International Enneagram Conference for over a decade. Leo: the Inner Child in All of Us. With Linda Brady and Michael Brady. Yes, it is true. We all have an “Inner Child,” who may have unconscious, and often unresolved fears, wounds and traumas. From these wounds defensive or aggressive behavior patterns instinctively arise, intending to protect us physically and emotionally from hurtful experiences of neglect, denial, abandonment, disapproval, abuse or some form of rejection. Fear not! As adults, we have a second chance to become our own best parents to our Inner Child. We can provide structure, support, supervision, and protection to our emotionally vulnerable self whenever our Child feels threatened or off-balance. Isn’t it time we found out how? Bring along your own chart and join our interview with two experts in the fields of psychology and karmic astrology. Our guests and former teachers, Linda and Michael Brady of Partners for Karmic Freedom, have made a career of conducting interventions with their clients and their Inner Children, helping them live healthier, happier, and more conscious lives. 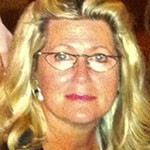 For 40 years Linda Brady has been a holistic teacher and karmic astrologer with clients in 34 states and 10 countries. As President and Co-founder of Partners for Karmic Freedom, Inc., she has helped more than 2000 people successfully navigate their own life paths, and mentored over a 100 karmic astrologers through her 3 year Internship Program. Her 1998 book, Discovering Your Soul Mission: How to Use Karmic Astrology to Create the Life You Want, was reproduced in four languages. Readers received a blueprint for living a life many never thought possible. Linda and Michael’s new e-Book release scheduled for November 2015, entitled DISCOVERING YOUR SOUL MISSION: New Rules for a New Age, can be preordered at creativech@aol.com. Using their unique ground breaking approach to Jungian astrology, they have also created THROUGH THE EYES OF A CHILD – A Baby Book for Your Inner Child, to help clients discover their “Inner Child”- that precious, young part of themselves. What characteristics, traits and skills make a good leader? We heard on a previous show how heart-centered Leo inspires others with its enthusiasm, self-confidence and self-mastery. It is dignified and has respect for itself and others. Leo leaders attract people with their charisma, and encourage co-workers to grow and and shine in their abilities. Determined Leo uses its personal power to empower and support the success of others. Hear from our special guest Tiffani Lennon, author and lead researcher for the 2013 report Benchmarking Women’s Leadership in the United States. This groundbreaking study evaluates women’s progress as leaders across 14 sectors of life, from academia and journalism to business and politics. When women lead, their leadership improves an organization’s impact, employee retention, and profit. Ms. Lennon devotes much of her academic research and writing to issues of women’s leadership, as well as being a living example of that leadership. Tiffani Lennon, JD, LL.M, vice president of a non-profit organization, formerly chaired and taught in the Law and Society and Community-Based Research programs at the University of Denver. Before her academic career, Lennon helped to frame strategic litigation to systematically address rights violations, and has authored several policy reports. Lennon was a visiting lecturer around the world, teaching within the legal and economic development spaces. Lennon has received numerous public and private grants to conduct research and policy analysis on marginalized communities. Her latest work is a national study on women’s leadership. Her book Recognizing Women’s Leadership: Strategies and Best Practices for Employing Excellence was released in August 2014. A Rider University alumna, Lennon also earned a Juris Doctor degree, and received a LL.M. degree from the University of London, Birkbeck College of Law. Her dissertation topic focused on feminist political economics in Africa.